I am from Redding Ca. But currently live in Sacramento, Ca. Area. 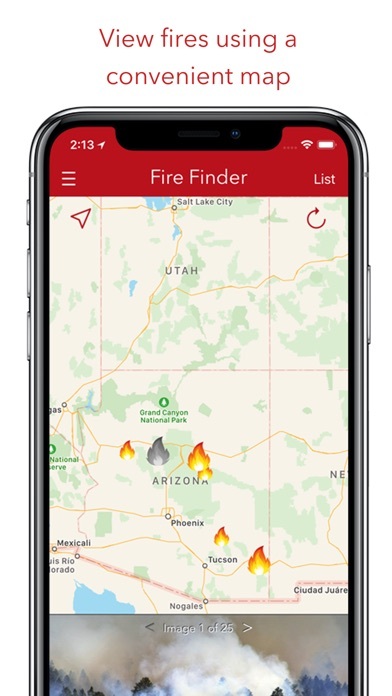 This app has been a godsend to me during all the current and recent fires in California. I have been able to follow the progress of the fire. The info. Is updated daily, which has been very helpful. Great Apo. Thank you! 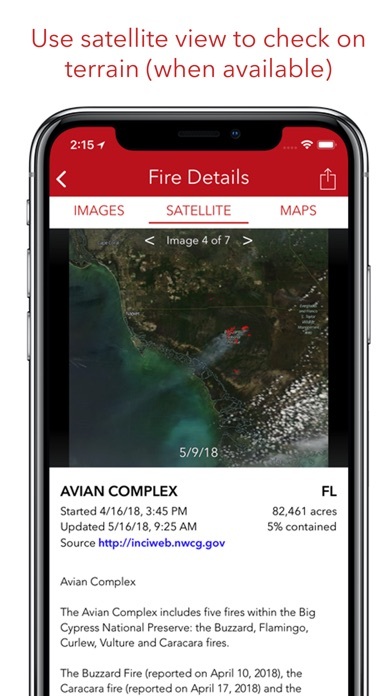 The app developer got on Twitter and posted what appeared to be a screen cap of the app showing hot spots and a satellite view of smoke, and advertised the app using the hashtag of an ongoing wildfire to say getting the app would show more details. 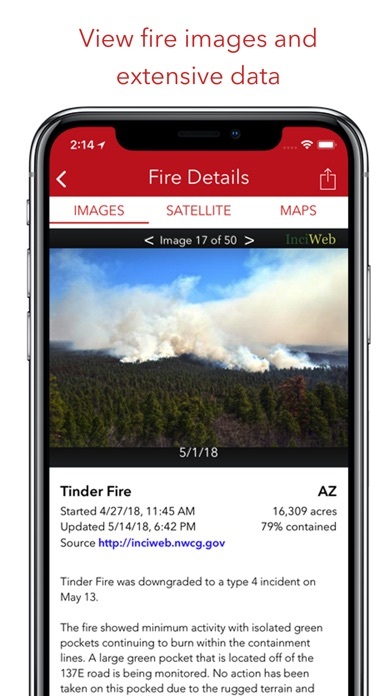 But using the app, it only shows one icon representing the fire, satellite view only shows the terrain, and images include 5 typical news images. This doesn’t help show even the information in the developers tweet. Misleading and shameful. This app doesn’t always update the fires around me. Being near these fires most of the time, I need to know exactly when it happens and where they are. 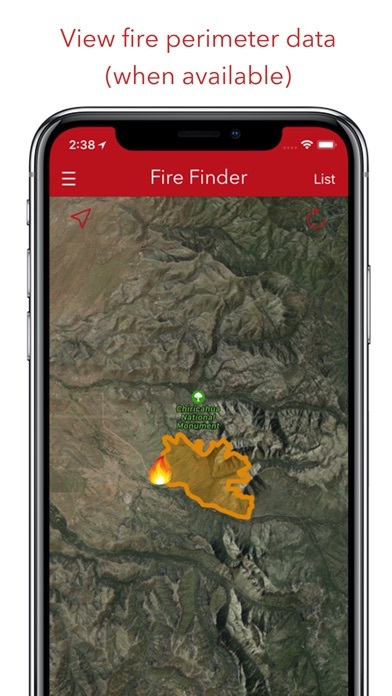 I’ll hear about it from a person, say to myself “oh, I gotta check my fire finder app”, and the fire isn’t there. ALSO, there a fire on there that says it’s still active, last updated from 10/30/18. Like??? Obviously that’s out now. It had me confused with another fire near me. Not cool. 6 hours after big fire in Paradise and it’s still not showing on the app. Not happy I paid for this. If you are going to boast about being “the best fire map” then be the best fire map. Fire season isn’t over and Oregon’s LARGEST fire is missing and it is a great impact on popular highways. Also notice this app is never updated in a timely manner even during peak fire season. Waste of money. Don’t depend on this app. This is a great app that is very informative. I live in the West and fires are a huge concern for us every Summer. This app is updated daily and keeps you in the know. Much easier to understand than the official reports sent out by the Forest Service. I highly recommend this to all persons living near or in danger states or areas of concern. This app is not a reliable source of information. Maybe 30% accuracy around the Pacific Northwest. Some large fires haven’t shown up at all. While others only were shown after they were out. And when they are shown their details are not regularly updated. Hour by hitting would be nice. Day to day should be minimum. But a lot don’t get updated for weeks if at all. Maybe it’s a California app that only cares about California fires? I am a California Native and fire season can get pretty crazy here. We have to pay attention even when the fires aren’t close bye because of summer traveling. I used to bounce between 3-4 different websites and twitter just to figure out where all the active wildfires were. This was well worth the 99 cents to save me a lot of time.